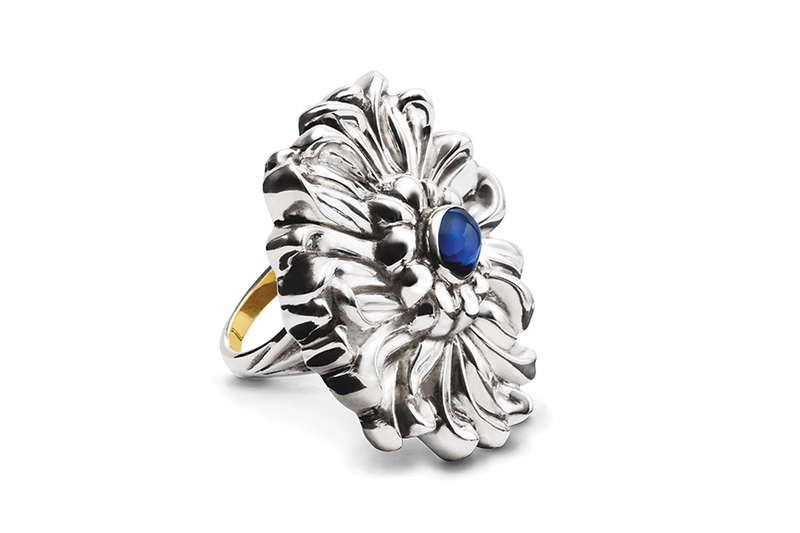 The Chrysanthemum Ring in sapphire makes a statement whether you are wearing a business suit, silk cocktail dress or a great white cotton shirt with denim. The flower measures approximately 1 1/2” round circling a deep blue cabochon sapphire. You will love discovering new details each time you wear this lavishly petaled chrysanthemum.